Candles have been around for centuries. They symbolize romance, celebration, and cast a warm glow for everyone to enjoy. 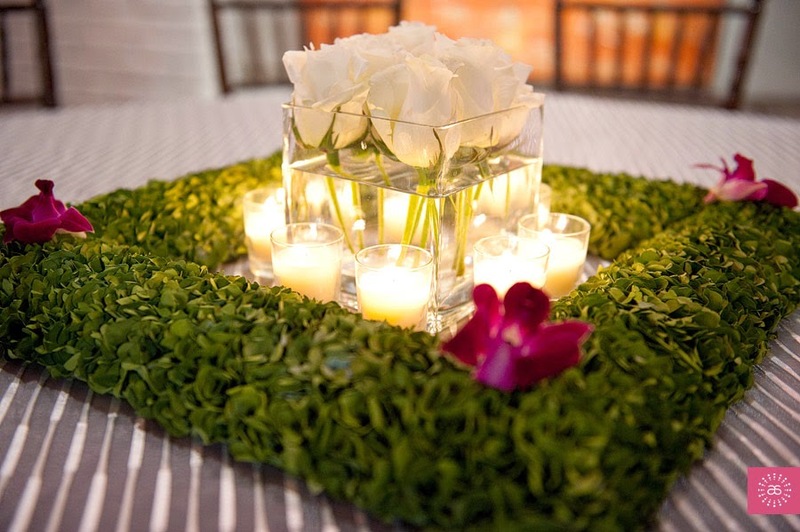 No matter how you look at it, candles can be that missing piece of the centerpiece puzzle to really make your centerpieces stand out. Whether mixing them with other items on your tables, or letting them be the main focal point, they are sure to light up the night. 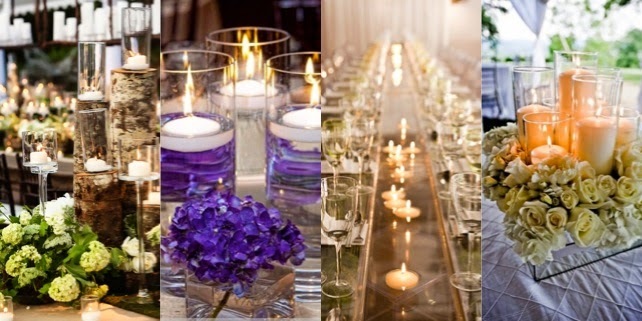 See the pictures below to come up with some ideas to incorporate them into your evening. This picture (to the left) has got to be one of the prettiest combinations of candles, water, flowers, and colors I have seen. 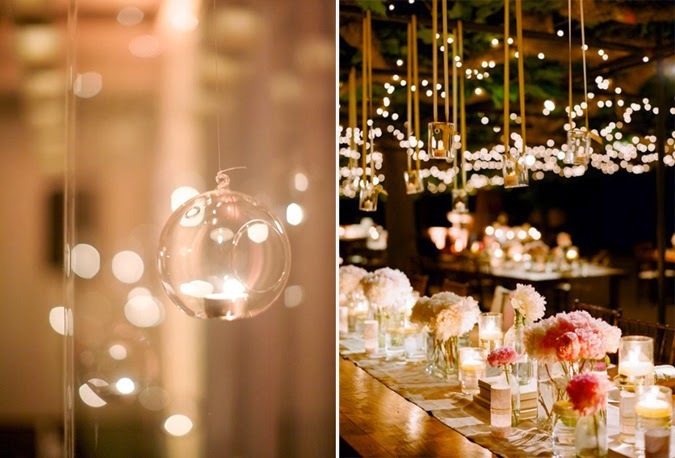 It totally draws you in and makes you feel that the room is filled with romance and allows you to live in the moment that is the wedding reception. That is exactly what the goal should be for your wedding reception. For some people, this table has way too much going on. For others, it is simply beautiful. 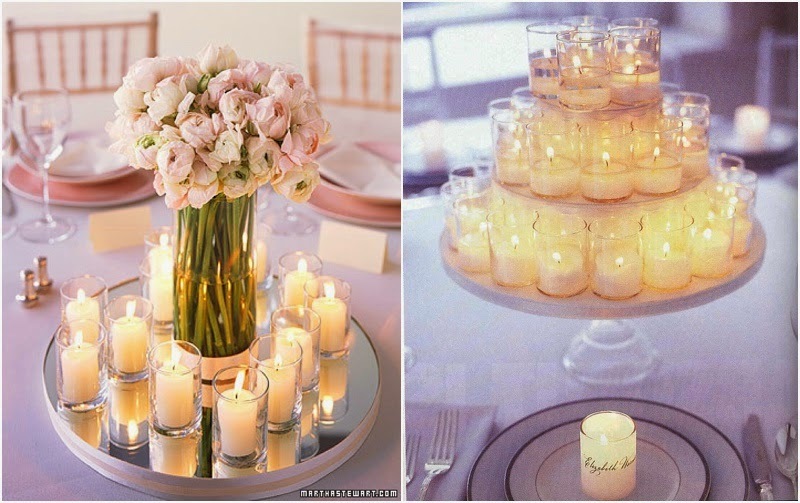 However, with candles, you definitely can’t go wrong if you want to add an inexpensive way to add some beautiful lighting while turning up the romance.